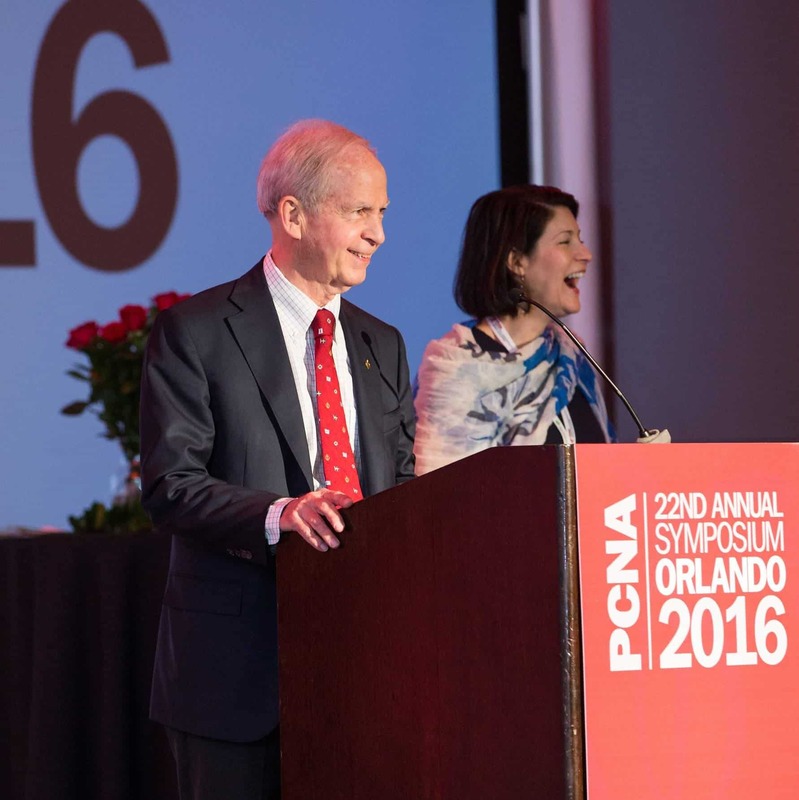 The Preventive Cardiovascular Nurses Association (PCNA) celebrated outstanding leadership by inducting three Honorary Fellows at the 22nd Annual Symposium in Orlando, FL on April 17, 2016. Meg Heim, RN, MAS, Martha Hill, RN, PhD, and Sidney Smith, Jr., MD were recognized for their career-long advocacy on behalf of nursing and its role in the prevention and management of cardiovascular disease (CVD). Ms. Heim currently serves as Head of Global Public Affairs and Advocacy for Cardiovascular for Sanofi Pharmaceuticals. She has supported PCNA since the 1990’s when it was considered rogue to suggest that nurses should be recognized as key opinion leaders. Ms. Heim advocates for nursing to be integrally involved in patient care forums, in medical science forums, and at all levels of decision making. She demonstrates the highest of ethical and professional behavior and works tirelessly for patients and for nursing. 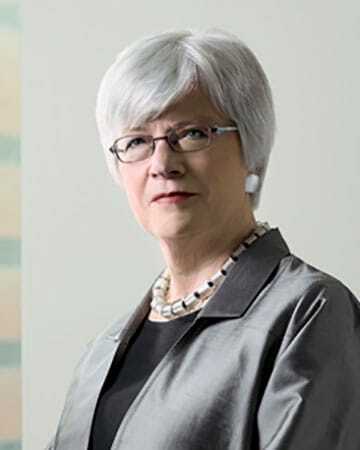 Dr. Hill served as Dean of the Johns Hopkins University School of Nursing for many years. As an educator, she is known for her mentorship of students and junior faculty members; as a researcher, for her investigations in preventing and treating hypertension and its complications, particularly among young, urban African-American men. Dr. Hill served as President of the American Heart Association (AHA) and was the first of two non-physicians to be named to that position. Dr. Smith is a past president of the AHA and the World Heart Federation. He has authored or co-authored more than 350 published papers and chapters, and has served on the editorial boards for the Journal of Cardiovascular Medicine, Journal of Clinical and Experimental Cardiology, and the Journal of the American College of Cardiology and Circulation. Each year since 1998, he has been elected to the Best Doctors in America. PCNA also awarded five new fellows and three award winners during the Member Celebration and Awards Ceremony on Sunday morning. The 2016 class of fellows includes Emily Jones, BSN, PhD, RNC-OB; Cheri Nichols, RN, BSN; Jennifer Tennant, M.Ed., RN; and Melanie Turner, BSN, RN-BC. 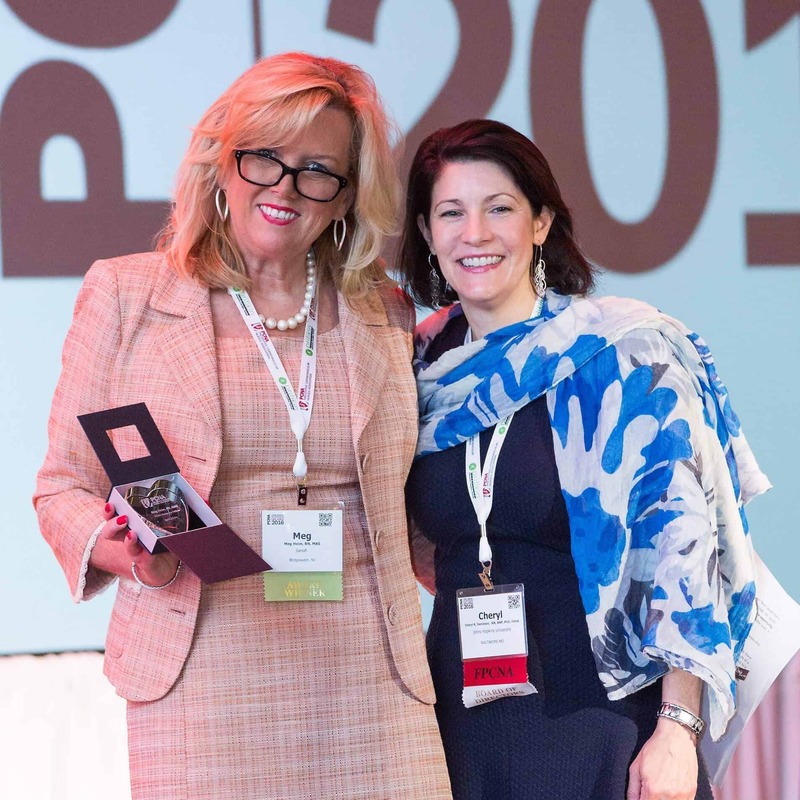 Alethea Hill, PhD, ACNP-BC, ANP-BC of the University of South Alabama College of Nursing was presented the PCNA Advocacy Award. Julie Chester Wood, RN, MSN, CNS, CHFN of Sutter Medical Center Sacramento was given the Heart Failure Prevention Award. Lisa Maher, DNP, ARNP of Cedar Valley Medical Specialists was awarded the Terry Thomas Clinical Practice Award. The Preventive Cardiovascular Nurses Association (PCNA) is the leading nursing organization dedicated to preventing cardiovascular disease through assessing risk, facilitating lifestyle changes, and guiding individuals to achieve treatment goals through education, leadership, and advocacy. Headquartered in Madison, Wisconsin, PCNA has more than 30 active chapters across the United States and Canada.